Cinquante ans après l'assassinat de Malcolm X, Matana Roberts puise dans ses origines ainsi que dans l’histoire de ses ancêtres et de l'amériques afin de produire un contre-récit mélancolique et captivant qui résonne profondément avec les luttes contemporaines. Son dernier album, River Run Thee, met en avant une esthétique du collage analogue à celle retrouvée dans sa production visuelle. Déjà perceptible dans son travail d'ensemble antérieur - pour ceux et celles qui écoutent au-delà de l'instrumentation jazz - le projet de ce troisième opus épique en douze chapitres, COIN COIN, pourrait enfin aider Roberts à transcender les insuffisances de l’étiquette jazz et à recentrer l'attention sur la profondeur de son message. Matana Roberts’ work maintains a sense of ambiguity without falling into the violent erasure of abstraction. There is a multitudinous unity to her form, function, and ethos. The elements that make up each chapter of COIN COIN are not cannibalized or synthesized, but collaged - each constituent part allowed to be itself. Sometimes the ruptures between these elements are stark, other times they blend more subtly. The experience of witnessing Roberts perform live is clarifying, especially compared with the more abstract political expression of most instrumental music. She reminds us how the use of vocals and of shared tradition can be powerfully resonant. When, for example, she steps on stage and performs “Bid Em In,” almost joyfully channeling a slave auctioneer describing young women for sale to potential bidders, one cannot help but be moved by the vulnerability and courage on display. This song creatively embodies the historical context of racialization, the slave trade and all that’s come after. Her commitment to socially engaged work continues, as exemplified by her recent premier of a new piece, “Black Lives Matter / All Lives Matter” at New York City’s Roulette on 3 December 2014. 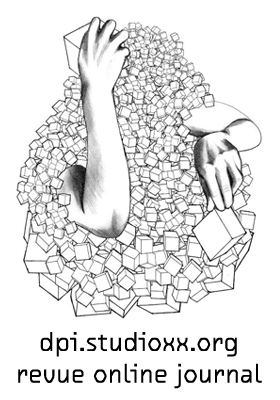 Still a work in progress, the piece draws parallels between the practice of improvisation and the work of social justice organizing. Roberts conducts the work through video and graphic scores based on imagery of Michael Brown, Trayvon Martin, Tamir Rice, Eric Garner, and other victims of police or vigilante violence. The structure is based on grand jury testimony from these cases, as well as numerological elements related to Ferguson, Missouri. Roberts’ formation as an artist owes as much to the make-do DIY ethos of punk rock as it does to the spirit of the black avant-garde and free jazz. Born in Chicago, she came of age as a musician in the fertile hybrid music scenes of that city, benefiting from free music lessons in the American public school system. Through her political scientist father and his record collection, she was exposed to the music of the legendary AACM. As an adult she would later collaborate and for a time join AACM, mentored in particular by Fred Anderson. Her interests have always been varied, and she has continued to find means of channeling her myriad interests, be they intellectual, political, poetic, artistic or musical, into her present work, which is done a disservice to be described solely in musical terms. A seasoned writer and visual artist, producing DIY zines, working from a system of graphic and video scores of her own devise, her work insists on intersectionality and the totality of her activities inform her performances. In addition to physical zines, Roberts has also embraced, if perhaps at times skeptically, social media platforms such as Tumblr, creating real-time travel-logs of her #southernsojourn2014 and her current experiences living on a houseboat in southern Brooklyn. 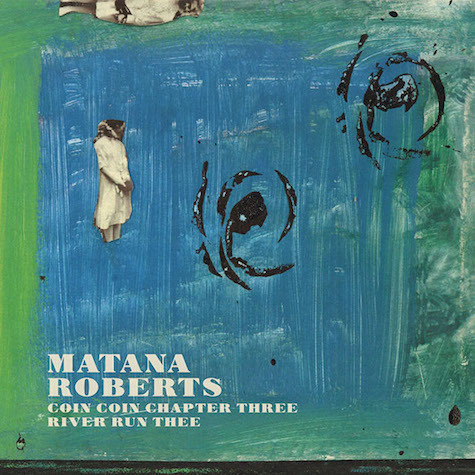 COIN COIN is Matana Roberts magnum opus, a projected 12-chapter epic encompassing themes of history, ancestry and memory. River Run Thee is the third (and darkest) chapter, and first solo installment. As with the first two chapters, it was released by Montreal’s Constellation records, and at least another three installments have already been written and performed in some context. Often compared to large jazz ensembles like those of William Parker, Burnt Sugar, or Wadada Leo Smith, jazz is undoubtedly present in Robert’s aesthetic as a composer and improviser, particularly in the way she plays with tradition and evokes double consciousness. But ultimately it is inadequate and misleading, as her work transcends such labels and the emphasis critics have placed on the “jazz” parts of her work detracts from the uniqueness of her work. COIN COIN evokes a plurality of meanings, and even its name demonstrates this radical ambiguity. Certainly the figure of Marie Thérèse ditte Coincoin looms large, a freed slave in pre-United States Louisiana who became a successful landowner and who has become an almost mythical figure. Coin is also evocative of money and of exchange, while simultaneously drawing on its French meaning to further emphasize intersectionality, evoking a corner. The first chapter, Gens de couleur libres, recorded with a large ensemble of Montreal free improvisers, told the story of Coincoin. Through an act of synchronic magic, the subject is blurred with the performer and the entire history between them, repeating “I am Coincoin/I am Matana” in a dramatic climax. Its follow up, Mississippi Moonchile, shifted the emphasis closer to Roberts’ family. Played by a tight sextet with jazz roots and operatic baritone vocals, it made extensive use of her idiosyncratic graphic scores. She calls the technique “panoramic sound quilting,” which allows her to productively collage a variety of disparate styles improvised within certain compositional parameters. At once musical scores and visual art objects, they combine conventional and avant-garde musical notation and techniques with painting, vintage photographs and historical ephemera. Quilting is a collective process, and Roberts’ sound quilting is no different. It is reasonable, therefore, to assume that a solo endeavor functions on a different register. And though that is certainly the case, the resulting album feels no less like a collective effort. An example from literature may help make my point clear. Each essay that makes up W.E.B. Du Bois’ The Souls of Black Folk begins with a lyric epigraph and accompanying bars of music, framing what comes after as more than just one man’s voice but a part of an ongoing conversation, a rearticulation of a message with the weight of traditions behind it.8 I sense a similar spirit at work here. Despite its layered nature the album wasn’t the product of meticulous editing, but the result of a mostly live process of improvising and incorporating her field-recordings and samples. The production, handled by Jerusalem in my Heart’s Radwan Ghazi Moumneh, plays an important role in the realisation of the album. Like a visual collage, there is no original to speak of. The work is only complete when it is finished and reproduced. Layering her improvisations over one another maintains the feeling of collage, of rivers flowing into and over one another, and the result captures a unique hybrid of recording art and live energy. The use made of an early 20th century upright piano is indicative of the approach and what the production brings to the album. Rather than directly sound any notes, other aspects of the recordings were played in the room and recorded by a microphone placed inside the piano, acting as an acoustic resonant filter, granting those sounds some ghostly relation to the piano and its history without any evident timbral qualities. According to Roberts, she utilized cheap synthesizers not as sound sources but as effects, running her saxophone through them in order to manipulate their filters. The result gives even the most electronic elements of the recording a direct trace of human gesture. The final minute of the River Run Thee features a short excerpt from a speech by Malcolm X, one of the few moments of text not spoken or sung by Roberts herself. These words come from a speech known as “Confronting White Oppression” given on February 14, 1965, almost exactly 50 years before the release of River Run Thee, and just one week before Malcolm was assassinated. The reason the man had to apologize for his appearance was that his home in Queens was bombed the prior evening. As far as endings go, it is a strong indication of how much work remains to be done, even half a century later. River Run Thee seems committed to confronting these challenges creatively. As the 10 minute opening song “All Is Written” reaches its bleakest moment, Roberts gives us an answer. “Why do we try so hard? Because we should.” This ethical imperative to struggle, for understanding and for justice, runs through Roberts’ oeuvre, form and content inherently intertwined. Baldwin, James. The Fire Next Time. New York: Vintage International, 1993 (1962). Eshun, Kodwo. More Brilliant Than The Sun. London: Quarter Books, 1997. Gilroy, Paul. The Black Atlantic: Modernity and Double Consciousness. New York: Verso, 1993. Gopinath, Sumanth. in Sound Commitments: Avant-garde Music and the Sixties. Adlington, Robert., ed. New York: Oxford University Press, 2009. Kahn, Douglas. Noise Water Meat: A History of Sound in the Arts. Cambridge: The MIT Press, 1999. 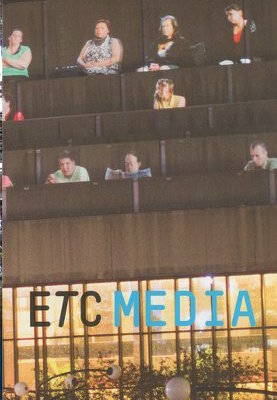 University of Minnesota Press, 2003. 2 Paul Gilroy. The Black Atlantic: Modernity and Double Consciousness. (New York: Verso, 1993.) Chapters 1 and 2. 4 Lloyd Whitesell. “White Noise: Race and Erasure in the Cultural Avant-Garde” American Music, 19, 2 (Summer, 2001): 170-1. 5 Douglas Kahn. 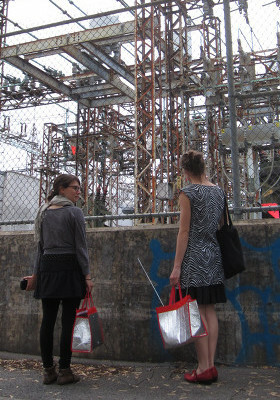 Noise Water Meat: A History of Sound in the Arts. (Cambridge: The MIT Press, 1999.) 158-160. 6 “Music for 18” is performed dozens of times around the world each year in prestigious concert halls. Eastman died in poverty, his work rarely-if ever- performed until being rediscovered by Jace Clayton (aka DJ/rupture), whose 2013 album The Julius Eastman Memory Depot reintroduced his work to new audiences. 7 James Baldwin. The Fire Next Time. (New York: Vintage International, 1993/1962). 8. 9 Fred Moten. In the Break: The Aesthetics of the Black Radical Tradition. (Minneapolis: University of Minnesota Press, 2003.) 22. Joseph Sannicandro est un auteur et chercheur actuellement basé à Minneapolis où il poursuit son doctorat en études culturelles. Il est cofondateur du site Internet A Closer Listen sur lequel il publie Sound Propositions, une série d'essais et d’entretiens approfondis et réalisés auprès d’artistes pour discuter de leurs pratiques créatives et minimiser le fétichisme matériel. 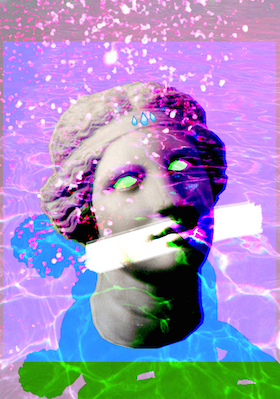 Il a commissarié un certain nombre de compilations, dont Con fuoco d'occhi non nostalgico lupo (2010, Lost Children) de musique instrumentale contemporaine italienne. Il enregistre sous le sobriquet The New Objective, sous son propre nom, et plus récemment avec le pianiste Stefan Christoff. La cassette Les Rumeurs de la montagne rouge, en choeur, convergent (2014, Howl Arts) a été conçue à partir d’enregistrements réalisés sur le terrain lors de la grève étudiante au Québec en 2012 afin d’explorer la relation entre l'art et l'activisme.